Joining effective organizations that promote responsible business practices is important to our company. Since 2005 we have given 1% of our net sales to environmental projects approved by One Percent For The Planet. We are always looking for ways to provide better service, operate more efficiently and move in a more sustainable direction. Sometimes these aims intersect. Such is the case with our Ushuaia Boot Rental Service. We enjoy working with our shipping partners to help guests make better choices while on board expedition ships. One success story we initiated is a shift from the use of plastic water bottles to reusable bottles. Ship to Shore Traveler is a member of IAATO, an industry group organization that sets the highest possible tourism operating standards in an effort to ensure appropriate, safe and environmentally sound travel to the Antarctic. Sometimes our environmental efforts get the attention of the media. 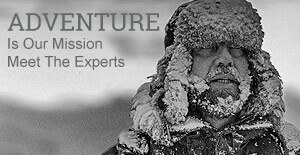 The Eco Capitalist film crew contacted Ship to Shore Traveler for advice on what to wear in Antarctica. As part of our environmental support program we outfitted the film crew. We like to work within our community and often support local non-profits that share our values and environmental ethics. Such is the case of CoolMom.org.